The all new ZR1 Perforated 4pc Factory Hood Inserts are the next generation of extreme customized hood panels! This high tech design has been carefully conceived for an easy peel and stick installation allowing the inserts to conform to the inner shape of the hood perfectly. Not only do the panels contour easily but they have been constructed from our custom made LIGHT WEIGHT 26GA Perforated Stainless Steel hand polished and assembled to perfection. 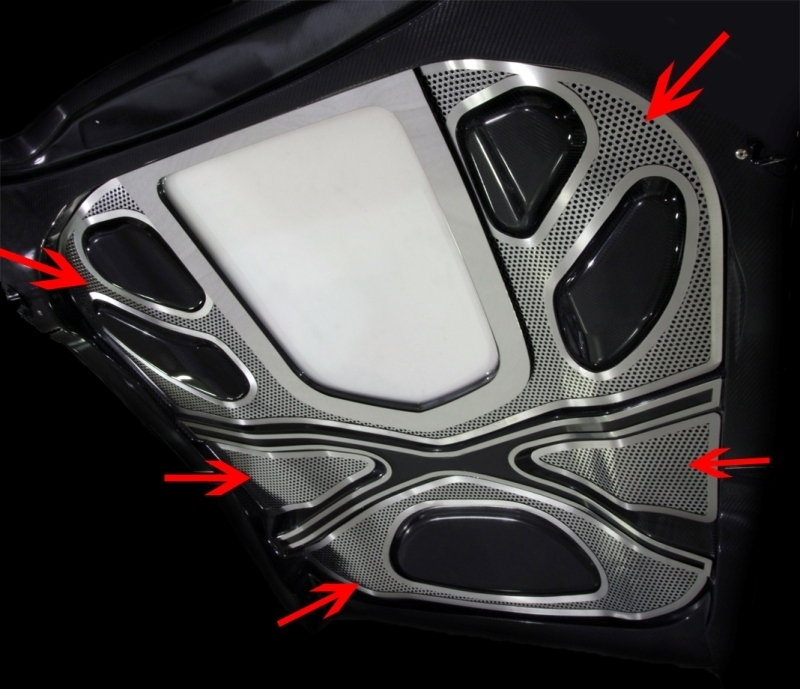 These inserts do not hide the awesome ZR1 carbon fiber hood construction but instead they enhance the surface allowing you to enjoy the best of both worlds. There is nothing on the market today that offers this high tech/high performance look like the ACC ZR1 perforated hood panel inserts. They are a truly advanced Corvette accessory that you will love from the moment you install them. Fits ALL 2009-2013 ZR1 Corvettes with Factory Hood.